Up to 1 million people are expected to visit Oregon to see the moon pass between the Earth and sun. Gov. 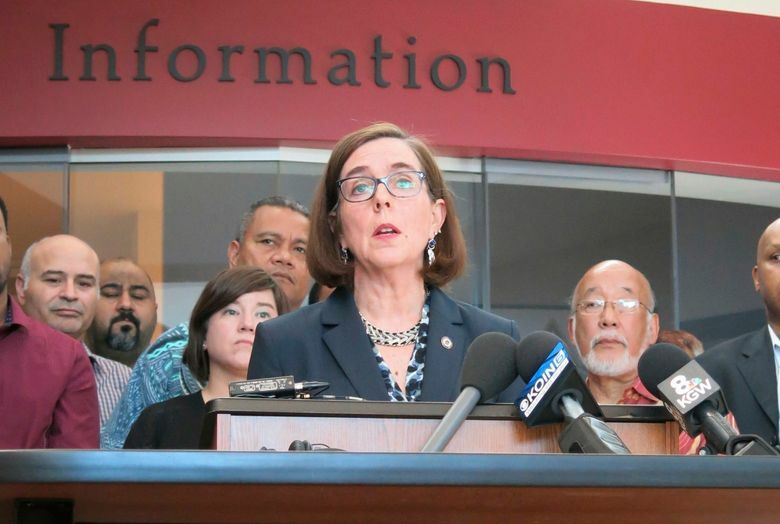 Kate Brown is authorizing the Oregon National Guard to deploy soldiers to help deal with an influx of tourists during next month’s total solar eclipse. Oregon Public Broadcasting reported that the National Guard will stage six aircraft and about 150 soldiers and airmen ahead of the Aug. 21 celestial event. The moon’s shadow first hits Oregon as the moon passes between the Earth and the sun and up to 1 million people are expected to visit the state to see it. State and local governments have been planning for months to prepare for an influx of people that could jam highways and stretch resources. The eclipse coincides with peak wildfire season in Oregon and the National Guard could help fight fires if necessary.